Flying into the heart of a storm Jump to media player Scientists have flown through the heart of a turbulent weather system in a bid to understand the causes of heavy rainfall. 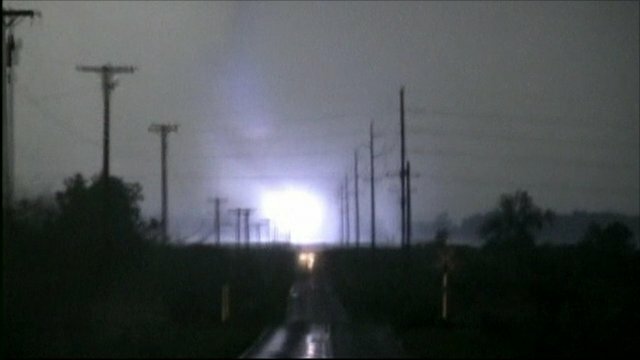 Missouri tornado caught on camera Jump to media player At least 116 people have been killed after a tornado tore through the city of Joplin in the US state of Missouri, officials have said. 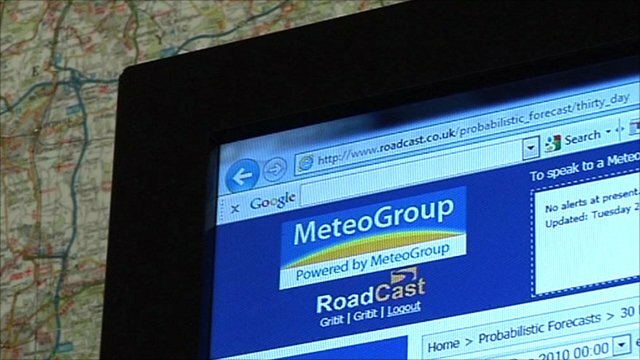 How businesses deal with weather Jump to media player From the latest weather prediction software to cloud computing - how businesses are using technology to deal with bad weather. Scientists have flown into the heart of a turbulent weather system in a bid to uncover the causes of heavy rainfall. A research flight off Southwest England gathered vital details about temperatures and water movements inside a band of cloud. The flight criss-crossed a massive warm front edging across the English Channel towards the coast of Cornwall. 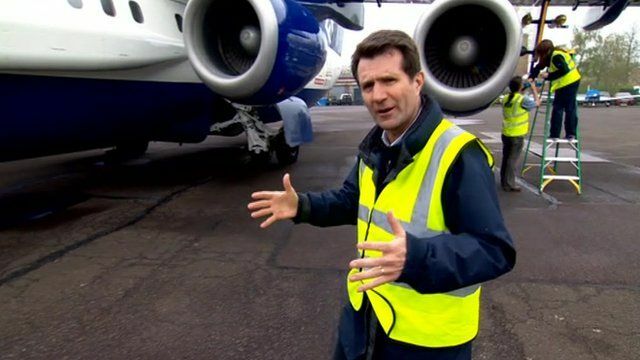 The BBC's David Shukman joined the scientists aboard the flight, which took off from Cranfield airport near Milton Keynes, headed over Wales and the Irish Sea and then south over the western approaches to the Channel.